Abu Simbel does not have an address. 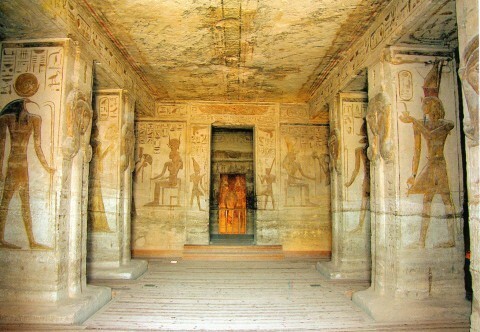 It is located in Egypt 250 kilometers southeast of Aswan. The Latitude is 22d 20u.22 North. The Longitude is 31c 36u.97 East. In 1257 B.C.E. 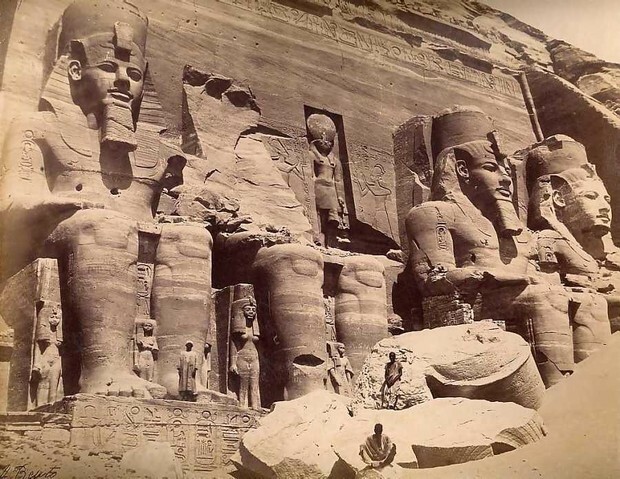 Pharaoh Ramses the second had a temple carved out of solid rock at a site on the west bank of the Nile, south of Aswan in the land of Nubia, known today as Abu Simbel. On February 22, and October 22 they celebrated the kings birthday. The temples were unknown until the rediscovery of it in 1813. In 1817 the egyptologist Giovanni Battista Belzoni explored it. 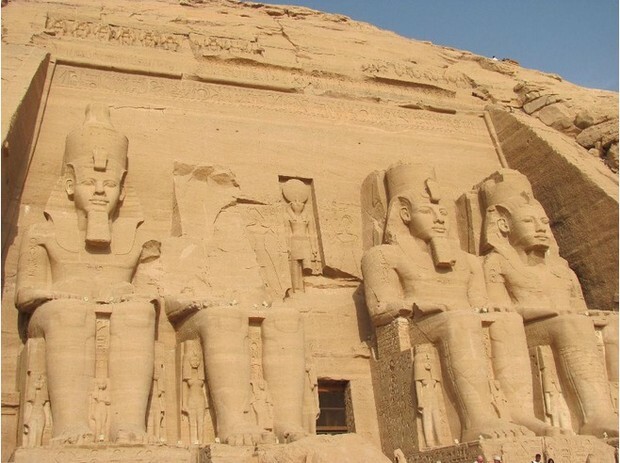 Abu Simbel was carved in a mountain side, and is actually two individual temples. It was deticated to the sun gods Amon-Re and Re-Horakhte. The second temple was deticated to Queen Nefartari. It is occupied between the sandstone cliffs and the river. 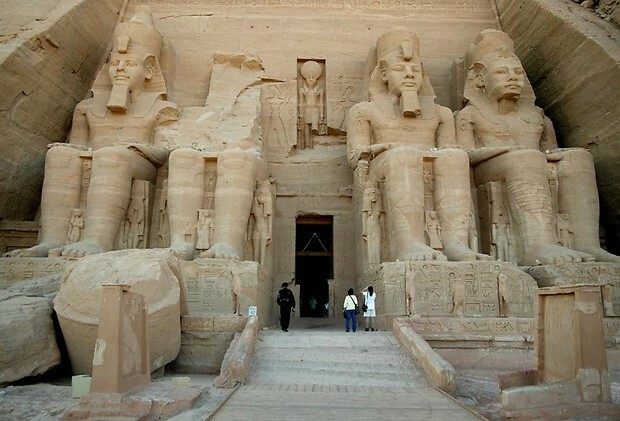 On the outside, front enterence of Abu Simbel are 4 colossal statues that are each 69 feet high. 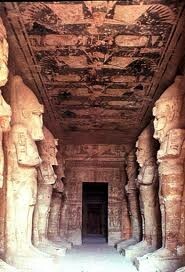 The religion or group found that were the ones that considered this place sacred were the ancient Egyptians. They considered it sacred because of the dedication of the sun gods Amon-Re and Re-Horakhte. The real inside of Abu Simbel is a cliff in the form of a man-made cove cut out of living rock. It has a series of halls and rooms that are 185 feet from the entrance. 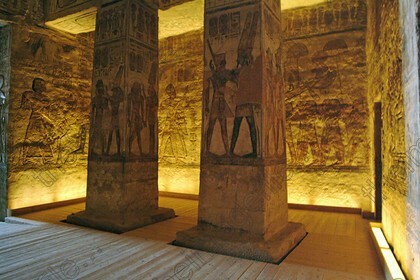 The first hall is 54 feet wide and 58 feet deep and has 2 rows of Osirid statues of Ramses the 2nd that are each 30 feet high. The north side of the temple, the statues wear the white crown of upper egypt. The south side of the temple, the statues are wearing the double crown of upper egypt. The west side of the temple, the main hall has 3 doors. The doors on the side lead to lateral chambers and the center of a room with 4 square pillars.